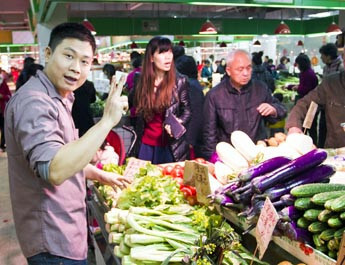 Have you ever wondered what the locals eat in their suburb? 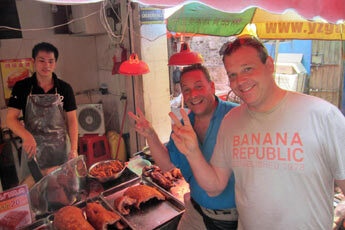 Come to our local neighbourhood and eat where we eat when we are not doing a food tour. What could be better than great Cantonese cuisine while we ride through the backstreets of Guangzhou? Haizhu is located on the southern side of the pearl river and is home to some vibrant older areas that are seldom visited by tourists. 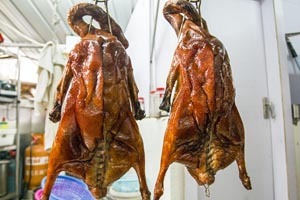 This tour includes one of the best food markets in Guangzhou where you can see everything from black chicken eggs to crocodiles and live snakes. 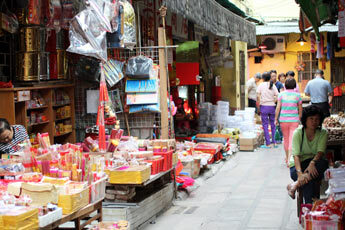 Along the way we will take you by bicycle* through the backstreets of Guangzhou to immerse yourself in local life. 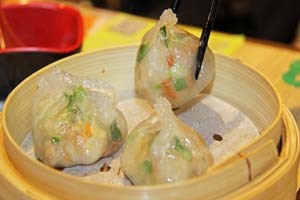 Tastings couldn't be better with fantastic dim sum and a great range of traditional Cantonese street food. 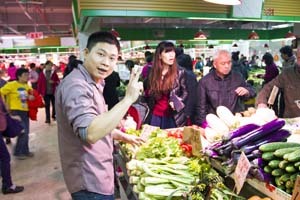 This is primarily a food tour, so don't arrive in professional riding gear! Steamed on a bamboo tray from a street corner near the market, these rice noodle rolls are made in the traditional Cantonese way. Not many places still make Cheung fun on bamboo trays, giving you super smooth rice noodles. Try it before the art is extinct! A great local breakfast before we explore the market. 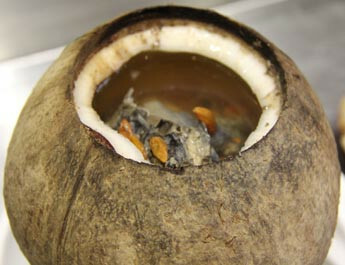 Black chicken boiled in a whole coconut with Goji berri and ginger makes a delicious and healthy soup. 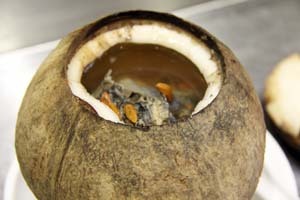 There is also a range of other soups to choose from. 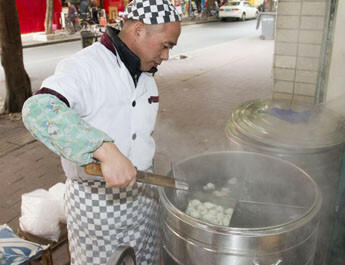 This modest street side eatery pumps out delicious bowls of noodle soup all day long. When a place specialises in just one dish, you know its going to be good! 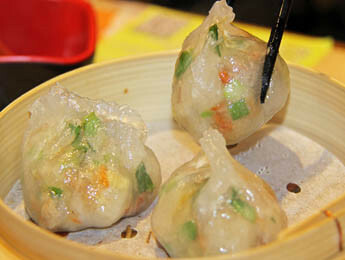 Enjoy traditional dim sum at this famous Cantonese restaurant. 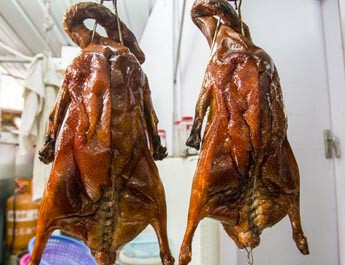 Known for their high quality dim sum and innovative contemporary menu, this stop will be a highlight of the tour. Try Tong Yuen (Sticky rice balls in ginger syrup) or other traditional Cantonese dessert from this local favourite that has more than 35 years history. 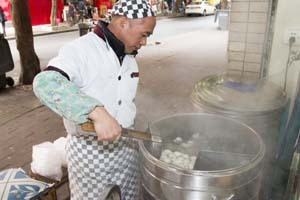 Northern style scallion pancakes (chong yao beng). 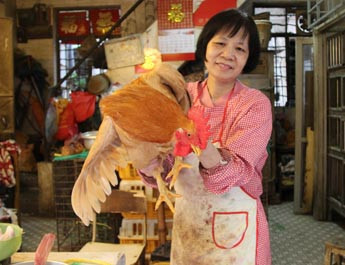 These are not Cantonese, but this little shop is one of our favourite places for a snack. Number of Tastings: 5 - 7 tastings including one main meal. 3+ tickets: RMB 469 per person. Prices are inclusive of all standard tastings. Number of Participants: Minimum number of participants is 2 full fee paying clients. Maximum is flexible. Child Friendly: No – As this tour includes bicycles we recommend children take our Liwan tour. 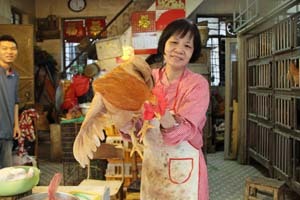 Languages: Tour can be conducted in English, Cantonese or Mandarin. This tour can be customised to meet your needs. Contact us for details. * Riding distance is approximately 4km. Participants ride at their own risk. Wherever possible we ride on the pavement or through quiet backstreets. No helmets are provided.